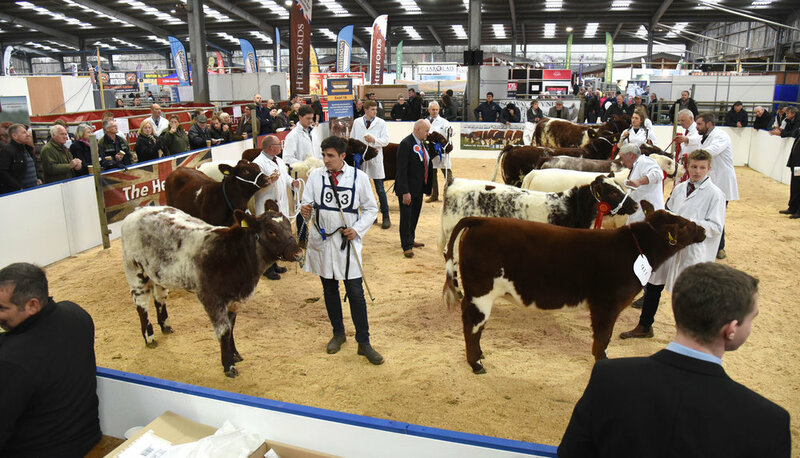 In 2018, Breedplan will be looking to replacing the Beef Shorthorn Self Replacing Index with a Maternal Index which will be more suited to highlighting the maternal traits of the breed. One of the traits which we need to get further information on is mature cow weights, which will give us an indication of the size of cows within the breed, how productive they are and maturity patterns. When weaning your cows this year try to take her weight at the same time as her calf and record the weight beside the dam’s tag number on your weigh sheets. See below for further information, but if you have any queries, please contact Pedigree Cattle Services 01738 622478 or barbara@breedplan.co.uk. Mature Cow Weight EBVs are calculated from weights taken on the cow when her calf’s weaning weight is being measured. In this way the analysis looks at the weight of the cow and the weight of the calf she produced. Also recording the condition/fat score of the cow at this weighing may better analyse the weights of cows in different condition. The Mature Weight EBV is standardised to indicate differences between cows at 5 years of age. Mature steer size - breeders of heavy steers may look for large mature weight EBVs - particularly if looking at long term feeding programs. A cow with a Mwt EBV of +80 would be expected to have a higher mature weight than a cow with a Mwt EBV of +60. There is a correlation between Mwt EBV and the growth EBVs. It can be expected that a cow with a higher Mwt EBV may require more feed to maintain her than a cow with a lower Mwt EBV, she is also more likely to have a heavier calf at weaning. A rough guide is that Mwt EBV should be less than the same animals 600-Day Wt EBV. For example, a cow that has a lower Mwt EBV than its 600d EBV is able to pass on its growth to its progeny while maintaining a lower mature size. Importantly, Breedplan will only analyse the weight of a mature cow if the cow has a calf with a weight recorded within two weeks of when the mature weight was taken and the calf was between 80–330 days of age when it was weighed. Breedplan can analyse up to four mature weights for each cow, therefore all cows should be weighed at weaning (200 days) each year. Breedplan will only analyse a mature cow weight if the cow is older than 2.4 years of age (870 days) at weaning and first Mwt has to be taken before six years of age, if not none of her weights will be analysed.